As a mom the health and safety of my family is the most important thing, this not only applies to the food we put IN our bodies, but the products we put ON our bodies as well. This is why when my dear friend from college and independent Beautycounter consultant, Kim Percival, asked me to sample and review Beautycounter’s line of safe, non-toxic skin care, I said absolutely. 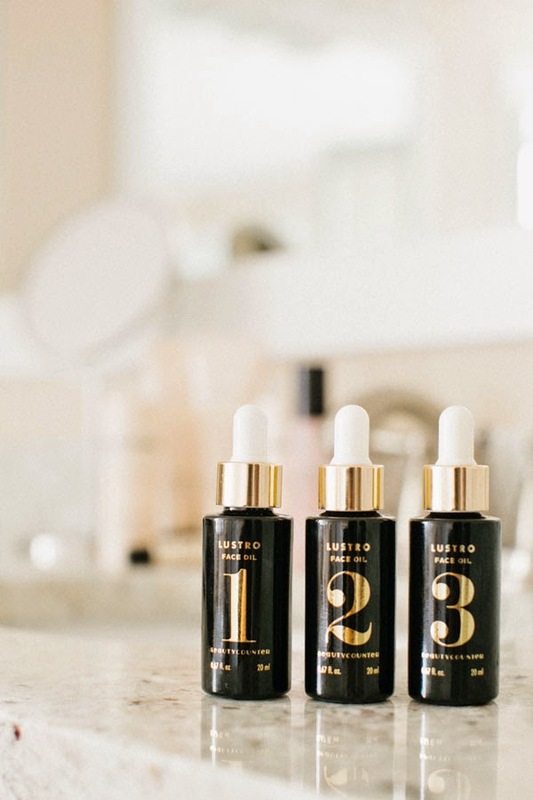 As a woman entrepreneur, the thing I like best about Beautycounter is that they are not only a cosmetics company, but a company on a mission to get safe products in the hands of everyone. Kim joined the company because of this mission, because she wanted to play her part in spreading education about the hazards of the various unregulated toxins and chemicals that we are in put on our bodies everyday. Not only are the products safe, but they perform! The Essential Face Collection which includes six products. Routine Clean cream cleanser, Rosewater Uplifting Spray, Every Day and Every Night creams, Anytime Eye Cream and Gentle Exfoliator polishing cream. I enjoyed all of these products, except for the face wash as it didn’t feel like it got my skin super squeaky clean. Kim tells me this is because it doesn’t strip the skin like other face washes do. Lustro Face Oil 1 (Calendula) for sensitive skin and Lustro Face Oil 3 (Ylang Ylang & Wild Chamomile) for acne prone or irritated skin. There is an Oil 2 (Jasmine) for dry or mature skin. I think Kim was sweet in thinking I didn’t need that one. The recommended way to use these is to put a few drops in your face moisturizer before applying. I definitely noticed a difference in how hydrated my skin felt by doing this. 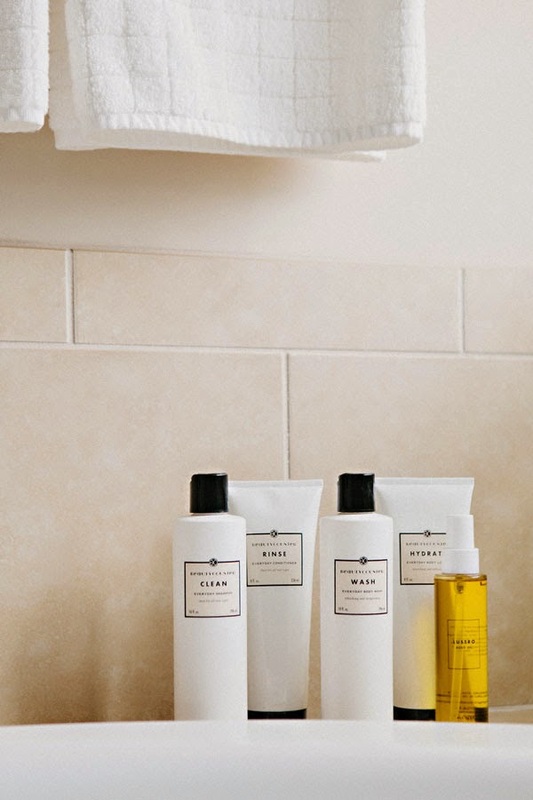 The Body Collection of Clean shampoo, Rinse conditioner, Wash body wash and Hydrate body lotion. I loved this collection and really, a little goes a long way. It smells so fresh and citrusy. Lustro Body Oil (Rosemary & Citrus) can be used alone or just like the Face oil by adding a few drops to the Hydrate body lotion. 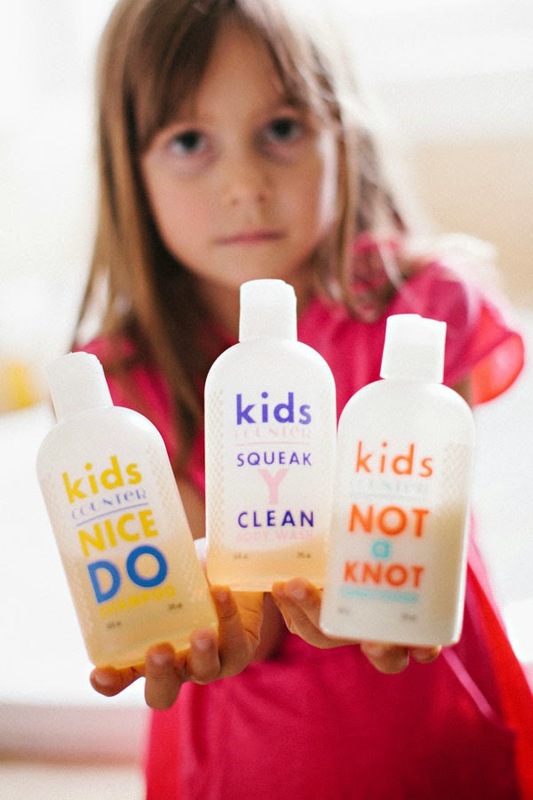 Kidscounter Bath Collection is pH-balanced, nut and gluten free, and all around gentle for for kids skin. We sampled the Squeaky Clean Body Wash, Nice Do Shampoo and Not a Knot Conditioner. I think the kids stuff is awesome. My daughter has fine hair that knots really easily and the conditioner did a wonderful job at keeping it knot free. As cliche as it may sound, our children are our future and we owe it to them to give them the safest products possible - ranging from BPA free products to bath products. Sunscreen Set for All Over the body and another one just for the Face, both at a SPF 30. 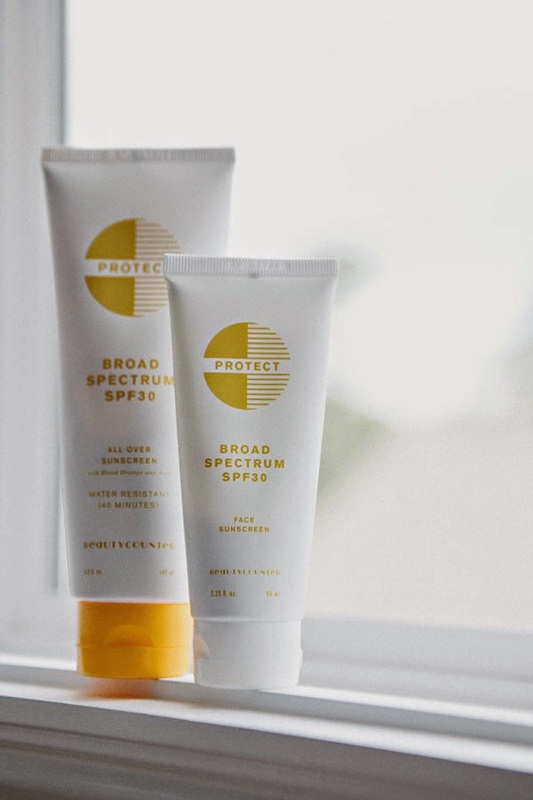 I currently use a natural USDA certified organic sunscreen that I am happy with, so these sunscreens had a little bit of competition. I liked them because it’s hard to find safe, mineral based sunscreens don’t appear white on the skin and these don’t. They are also one of EWG's (Environmental Work Group) top-rated sunscreens. When I asked Kim what she would want my readers to take away from this blog post she said, that "she hopes all consumers will go out and educate themselves on the importance and the impact that even small amounts of toxic ingredients in our environment can have on our health and start making changes where they can by eliminating the bad stuff and replacing with the good." 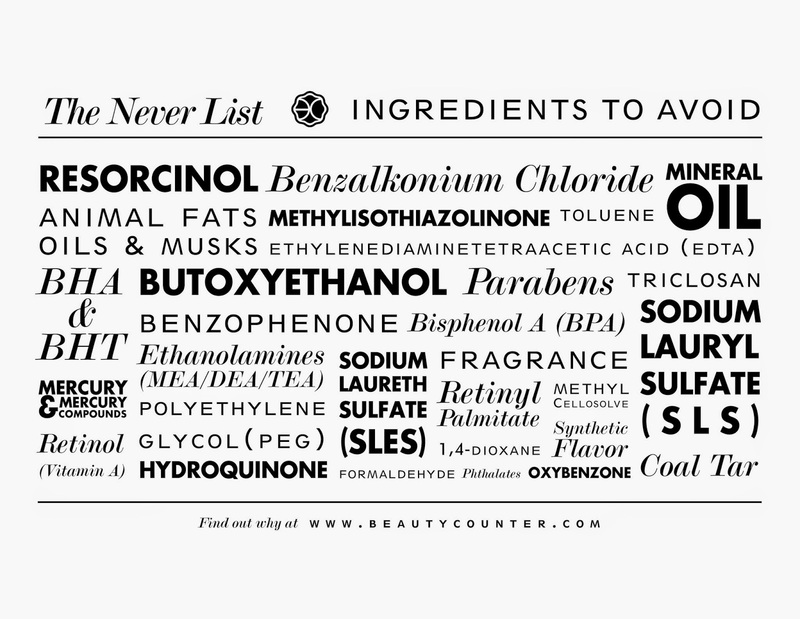 The nonprofit Environmental Working Group is a great place to get valuable information and as it relates to the cosmetics industry, Beautycounter has a great reference in their Never List of ingredients that will never be found in their products because they have been linked to harm in the body (i.e. cancer, hormone disruptor, etc.). Feel free to print out the list below and compare it to the labels in your products or for future purchases. If you have any questions about the products themselves, need recommendations on what to order for your skin type, the membership loyalty program (Band of Beauty) or are curious about becoming a consultant, Kim would seriously love to chat with you. Her contact info can be found on her site, kimpercival.beautycounter.com. Not only does Beautycounter have skincare, but they have safe and high performing cosmetics as well (with more to launch this fall). If you are interested in ordering you can do so on the website. Returns are allowed within 30 days if you are not satisfied with your product. Let me know your favorite products if you are a Beautycounter client or if there are other natural or organic lines that you love!